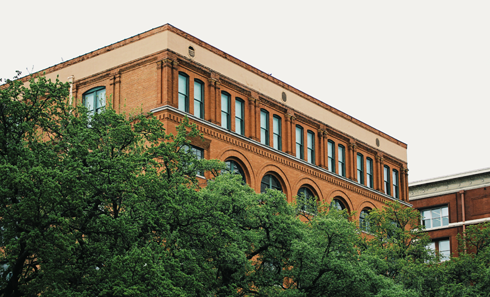 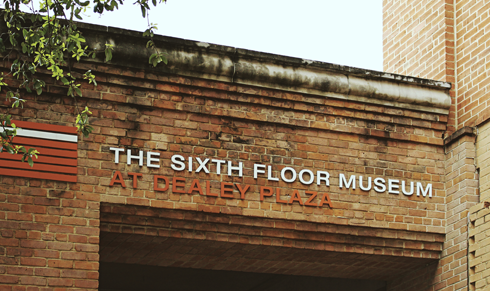 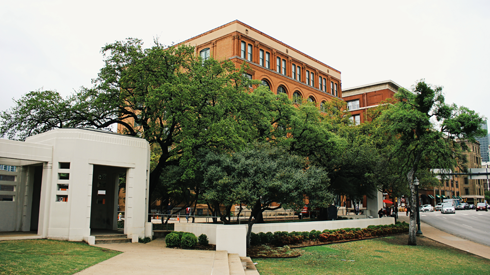 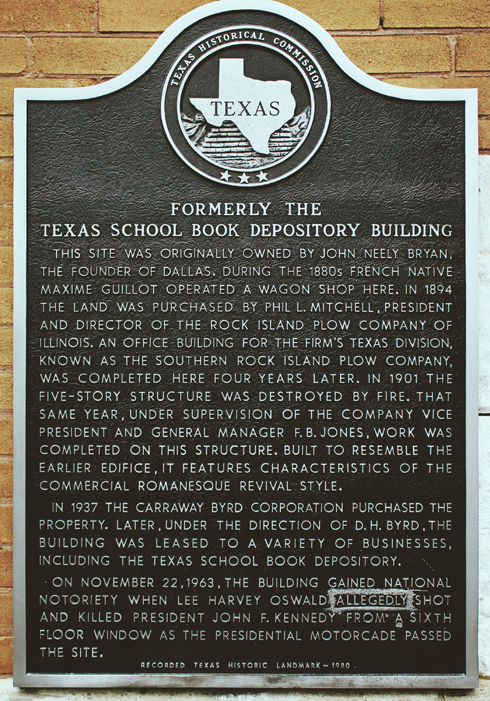 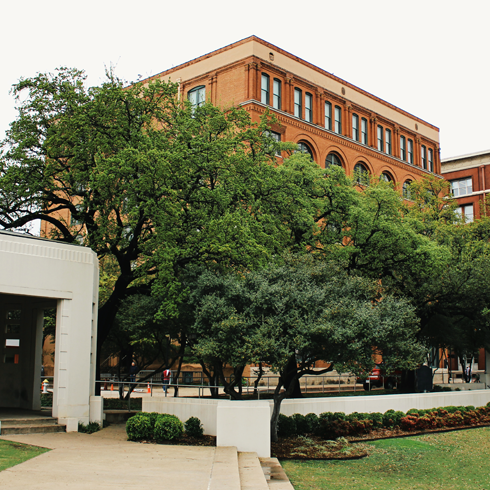 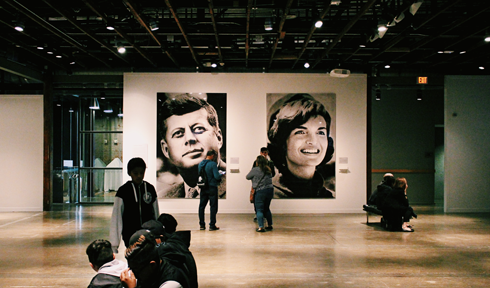 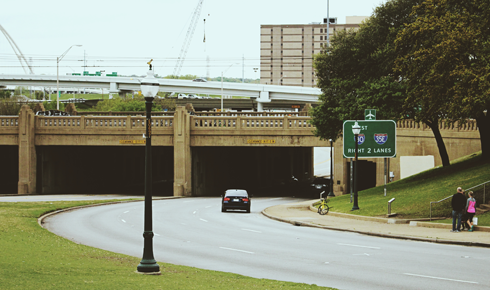 Located in the former Texas School Book Depository, the Sixth Floor Museum in downtown Dallas, Texas recounts the events surrounding the assassination of John F. Kennedy in Dealey Plaza on November 22, 1963. 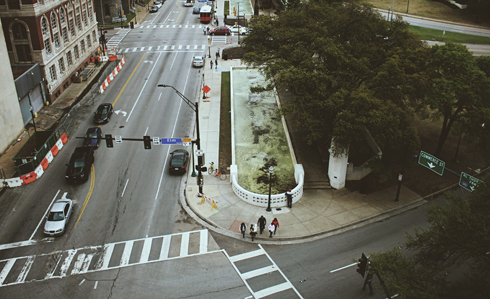 More images here. 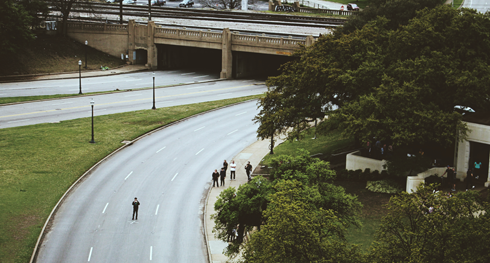 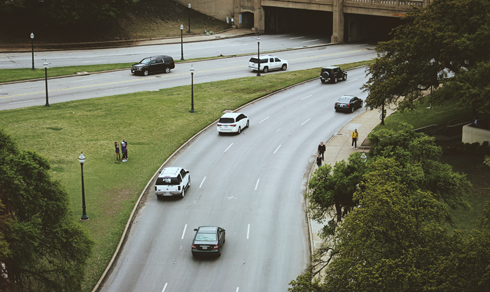 You can see a person standing in the street on the 'X' where JFK was hit.